As Christmas was fast approaching I was struggling to think of a perfect gift for my then almost 2 year old daughter. She had just about everything a little girl would need at that age - and more. Nearly half of the playroom was set aside for her stash of "favorite" toys. She had a large stack of stuffed animals, a collection of realistic (and sometimes creepy) dolls, and even her own play make-up and hair care set - just to name a few. Before she was even born she was already spoiled by four sets of grandparents, co-workers, neighbors, and yes, my wife. At times I felt sort of like an outsider because it seemed that everyone had showered my daughter with gifts and yet daddy only had a few things that he could remember giving to her. My daughter was too young to attach a person to a particular gift and definitely didn't place a high value on anything she owned. For the most part, they were just toys to her. Most of the things that she owned weren't special and in less than 5 years time would be sold in a yard sale or thrown into the garbage. It was early November and the weekend had come. My family and I were working hard to put away all of the Halloween decorations. We had spend a considerable amount of time decorating the house, however most of the Halloween activities surrounded our costumes, candy, and fun crafts with the kids. As I was gathering up the old spider webbing my wife asked, "When we're done here, can we start planning Christmas?" I looked at her and replied, "Okay Honey, you sure do love the holidays." After dinner that evening we took some time to discuss the plan for Christmas. We discussed having a party, putting up new LED lights, and even taking the kids for a ride on the Polar Express. It wasn't long before the subject of gifts came up. 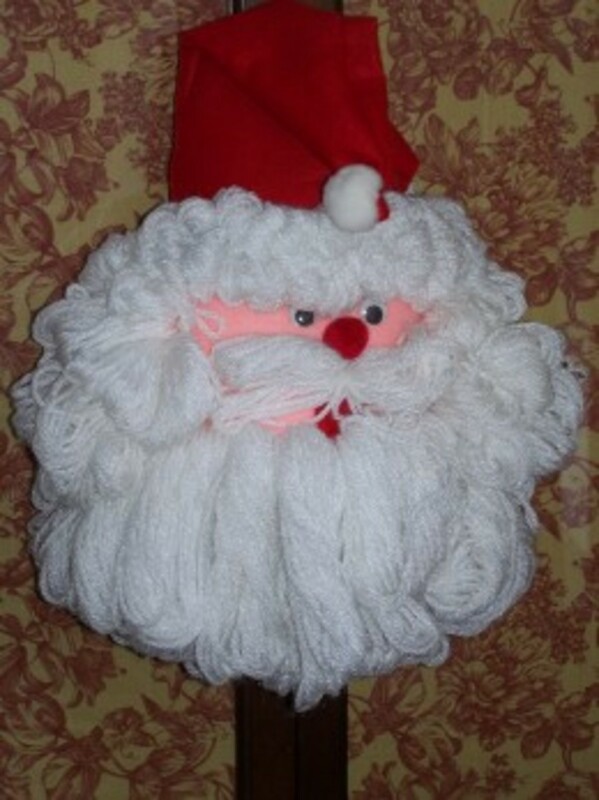 We made a list of people we wanted to buy for and started attaching gift ideas to the names. For many of the people on the list, like my brother, gift ideas were easy to come by. However, when my pen came to my daughter's name, neither of us were able to come up with anything. "She has everything already," I alleged. My wife looked at me as I finished, "and I don't really want to buy her something just for the sake of giving her a gift." She nodded as she took a drink from her can of diet coke. I continued the conversation, "I feel that it is important to get her something special this year, something that she will cherish and take care of," The clock ticked to 10:55PM. My wife acknowledged my words in agreement and proceeded to turn out the lights. "Let's go to bed," she said, "we can talk more about this tomorrow." The next morning while swirling my fork through my scrambled eggs, my mind became lost in thought. I thought about all the toys that my daughter had and what I could do to make her Christmas special. At this point I already knew that I was going to make her something. I was already adept at creating a variety of things, heck I once had a job as a handyman preparing homes to be sold - I definitely knew my way around tools. "All those dolls, I've got it!" I said aloud. My son put his fork down and questioned, "What dolls daddy?" "The ones that your sister has." I replied, "She has a lot them doesn't she?" "Yup, she does," he said as he stuffed a large fork full of pancakes into his mouth. 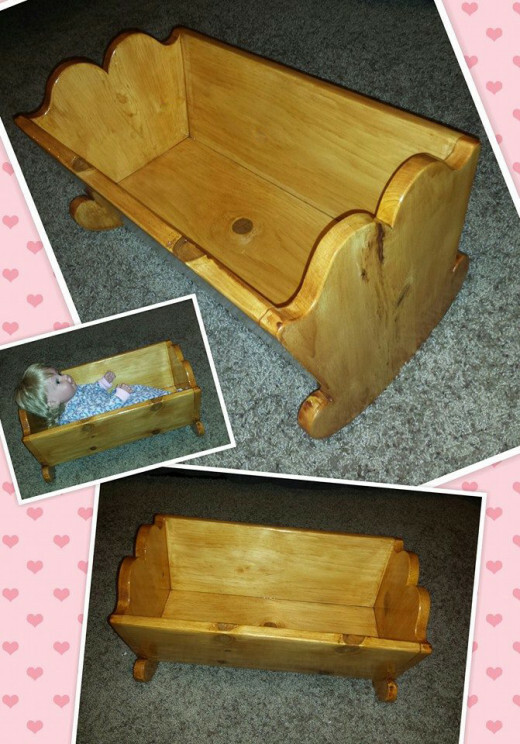 I had decided that I wanted to make a cradle for my daughter to use with her favorite doll. I already had it pictured in my head - roughly 18 inches long, a simple heart shaped top, and stained a beautiful Colonial Maple. Not long after I had came up with my idea did I begin planning the layout. I knew that I wanted to use pine because it was easy to work with and took a stain very well. Although it is a soft wood I planned on using at least 3 coats of polyurethane to make it durable enough to withstand the tribulations of rough children. I took my daughter's favorite doll and made some measurements as well. 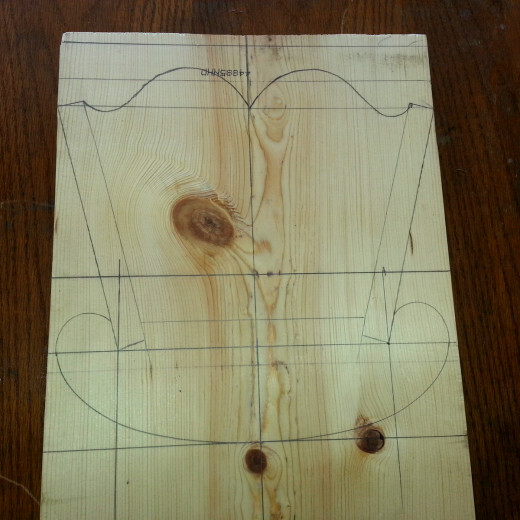 After about 45 minutes, I was able to draw up the rough design of the end piece that you see to the right. The design was simple yet elegant containing many curves. The bottom of the cradle will be rocked with a long curve that has a constantly changing radius. 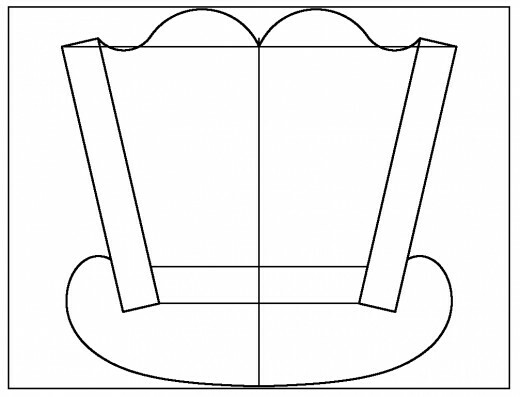 The top of the cradle will have a curve formed out of two circular arcs. 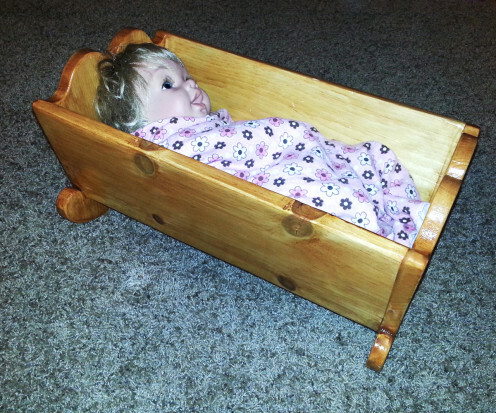 With six weeks left until Christmas, I had plenty of time to properly construct this cradle for my daughter. 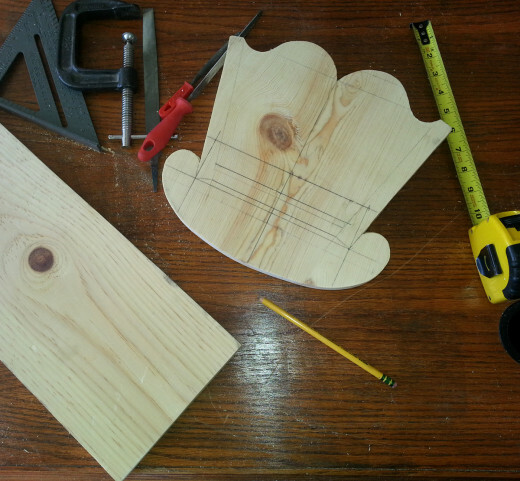 Back from shopping at the Home Depot I began work on my daughter's new wooden cradle. I started with the 10 1/2 inch wide pine board and ran it through a planer several times to even out the board's surface and to make them a uniform 5/8" thick. Next, I laid out the edge design in pencil. I tried to avoid having any knots on the edge of the wood. After I was sure that the design was correct, I placed another board underneath this one and attached them together with plenty of tape. My goal was to use a jigsaw to cut the curves of both ends of the cradle at the same. This would improve the accuracy of the cut and ensure that the two end pieces matched up. Once the end pieces were cut out I proceeded to make some rough cuts in my remaining boards to make the bottom and sides of the cradle. The length of the boards would be 17 3/8 inches long so that the total length of the cradle would be 18 inches when complete. Next I used some trigonometry to calculate the angle between the side boards and the bottom board in the cradle. The result was approximately 14 degrees. So I set the blade on my table saw to 14" and ran the bottom board through it so that it would properly match up with the side pieces. Soon all of the major cutting was complete and it was time to test fit all of the pieces together. This required a bit of hand rasping and planning to accomplish, but eventually all 5 pieces of the cradle fit perfectly together like a jigsaw puzzle. Next, I began to sand the wood to ensure that it's surface was perfectly smooth. At this stage of the game I only spend about 2 hours refining and smoothing the wood's surface. I used mostly hand sanding techniques as I wanted to avoid marring or chipping the wood with a power tool. 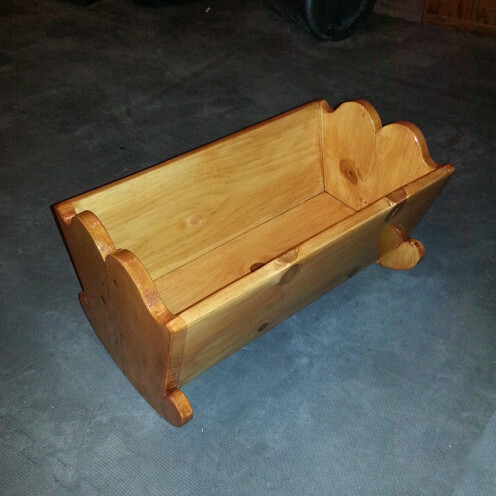 Finally, after the initial sanding was complete, it was time to put the cradle together. Up until this point I had been debating whether to use nails or to screws to hold this project together. I would typically use screws on a project like this because of their strength and long term holding power, however I ultimately decided on using 1 5/8" finishing nails instead. Ultimately the decision came down to my desire to create the smallest hole in the wood as possible so that it would not detract from the beauty of the finished project. I definitely wanted to avoid using as much would filler as possible when finishing the project because fillers never absorb stain the same way that wood does. To ensure that I had no trouble with the nails, I pre-drilled all of the holes and placed copious amounts of glue over all of the joints. I carefully inserted all of the nails and used a small hammer to reduce the probability of damaging the cradle when pounding the nails in. I used a nail set to countersink the heads of the nails and applied clamps to the cradle while the glue was still wet. Working quickly I wiped the wood down with a damp cloth to remove any excess glue. Finally, I applied a small amount of wood filler to cover each of the nail holes. 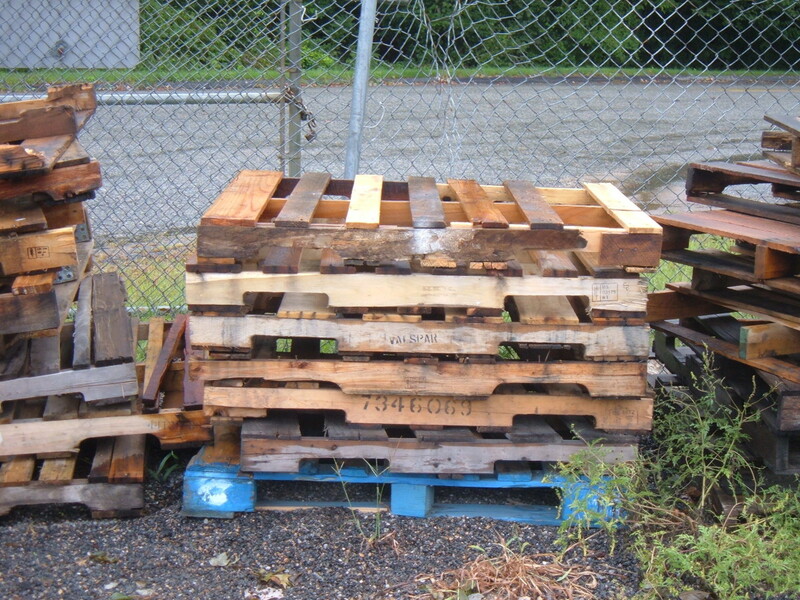 One week later I removed the clamps and inspected my work. For the most part I was happy, however, some of the glue did run out of the joints after I had wiped everything down. Hoping that the excess glue didn't ruin the wood's ability to absorb the impending stain, I scraped it off using a razor blade. Now that this beautiful yet simple wooden cradle was coming together quite nicely and it was time for my least favorite part of the project: sanding. Surprisingly, sanding was the most difficult and tedious task of the project. This required at least 12 hours of hard work. I used mostly hand sanding techniques as I wanted to avoid marring or chipping the wood with power tools. My goal was to use a bit of technique and finesse to create a perfect surface that would be ready to take on a stain. Muscling through this task with a belt sander would not have accomplished the same thing. Finally it was time to stain the wood. I decided against using a conditioner for the sake of saving time and proceeded to apply the first coat of a water based Colonial Maple stain. The stain went on easily and evenly. Due to the shape of the cradle, it took two separate staining sessions to apply a full coat. When the stain had completely dried I lightly sanded the entire surface and wiped it down with a lint-free cloth. I applied a second coat of stain and repeated the sanding and wiping process again. Once I was satisfied with the tone and color of the cradle, it was time to apply the polyurethane sealer. I used a foam brush and again applied the sealer in two separate sessions. After the sealer cured, I lightly sanded it, rubbed it with steel wool, and wiped it down. I repeated the process five more times to ensure the cradle would remain durable for many years to come. I was finally finished with my daughter's new cradle and it was time to make the preparations for Christmas day. In my family the day of Christmas is proceeded by many events meant to build up anticipation for the kids. 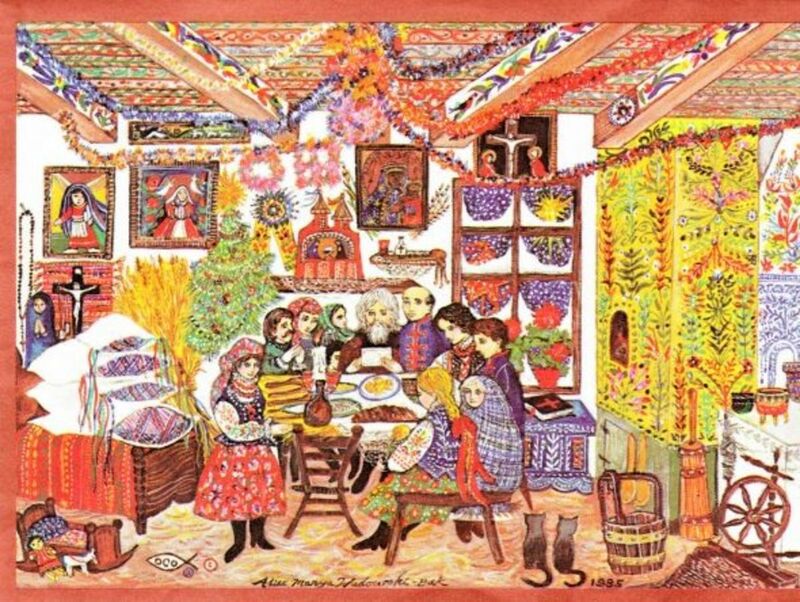 As the day draws near we tell stories, watch holiday movies, and even play holiday themed games. On Christmas eve we all get to open a few presents from the family because, as my son puts it, "we need to make room for Santa to come!" I had already wrapped my daughter's wooden cradle in pretty pink princess wrapping paper and placed it next to the tree. When it was announced that we would be opening a few presents my kids could hardly contain themselves. My daughter immediately grabbed for her cradle and began tearing it open. At first I don't think that she realized what was underneath all that paper, but the smile on her face wouldn't have told you that. Her sweet coos and giggles were followed by my wife's explanation of the gift, "This is a beautiful cradle for your favorite doll to sleep in. 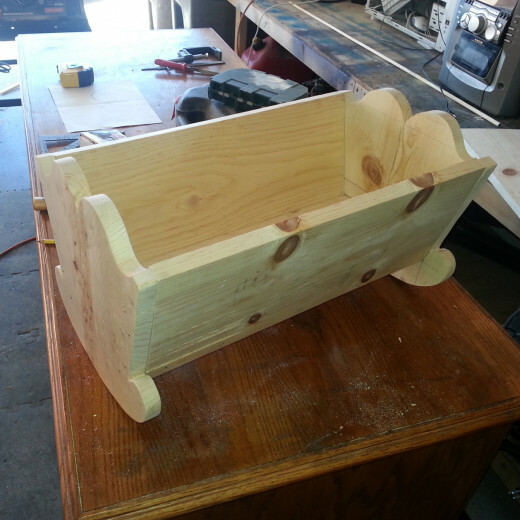 Daddy made this cradle just for you - it's very special so you need to take good care of it." I will never forget what happened next. My daughter stood up and ran into the playroom as fast as she could. She hurriedly raked through her pile of dolls searching desperately for her "favorite" one. It wasn't but 10 seconds later when she came running back into the living room with a large doll in her arms. My eyes began to tear up as I watched my daughter put her doll in the cradle, cover it with a blanket, and rock it gently to sleep. "I'm so glad you love it!" I told my daughter. In case you're wondering about where my son stands, I didn't leave him out of this either. Although his story is less glamorous he also received a special hand made gift from dad. I made him a small treasure chest to store all of the special rocks that he digs up while playing in the yard. It's difficult to know where to start! 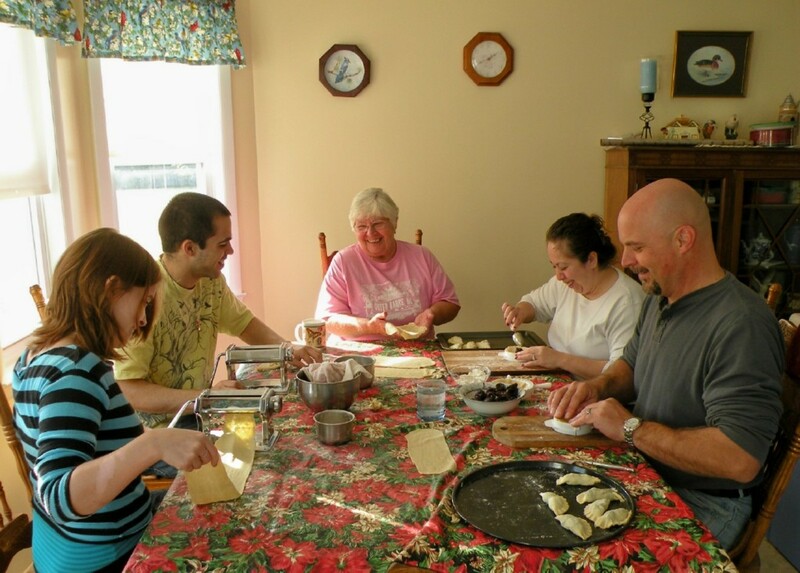 First, thanks for sharing this precious slice of life event from your family with us. Next, what a delightful cradle design you created and built! Such gifts are the kind that make it into future generations, but to have had the experience with your little daughter turned your effort into a wonderful stand-out memory! If you have no objection I am linking this hub to my first one on toy cradles. Pinning, too.